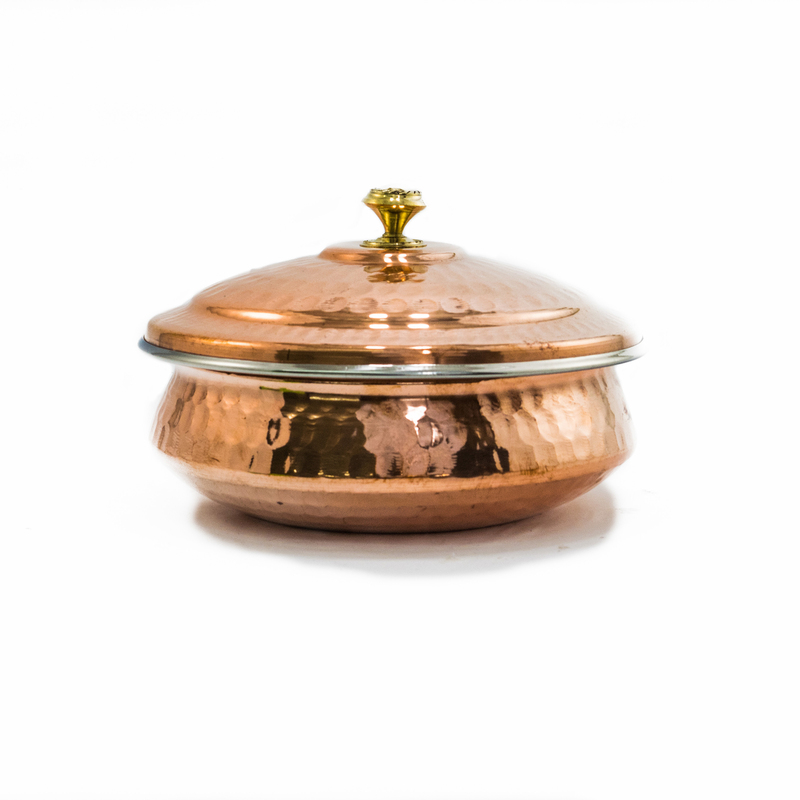 If you enjoy Indian Cusine, and serving your table in an authentic way, you will love with our double layer, Hammered Copper Hyderabadi Handi with its own lid (Serving Bowl). Length 7.25 inch, Width 7.25, Height 4.5, Diameter 6.75 and Capacity 26 oz (filled comfortably without overflowing). This authentic and decorative dish is perfect for serving lentils, curries and rice dishes. It is hand-crafted with two layers of metal which combined with the lid, actually keep the dish hot for a long period of time. The inner layer is made of the highest quality stainless steel, with the outer layer made from copper which is hand hammered in a uniquely Indian style giving the dish an added beauty. Will last many years with proper use and care (each piece comes with a product information sheet outlining the Uses and Care for the product).